Get one a cruise to unwind and have an experience of a lifetime. Our company is one of the eminent Tour and Travel Agencies offering excellent Cruise Services. We specialize in providing Cruise Tour Packages for destinations like Malaysia, Singapore And Dubai. Whatever your budget, we can plan a tour for you. We can plan a customized tour to meet your specific requirement as well. 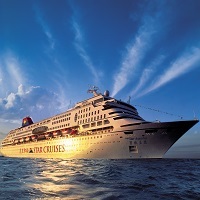 We guarantee, our Cruise Services are reliable and rendered though honest means. Once you come to for our services, you will not have to worry about getting tickets, verifications or follow ups.